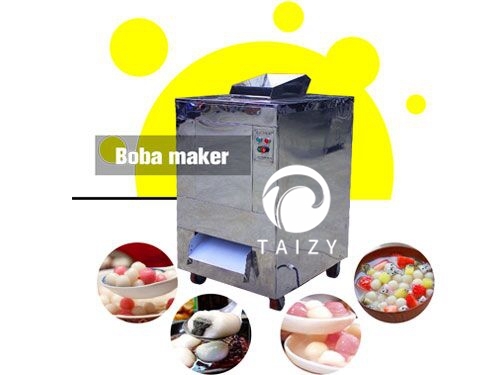 Boba maker is also called tangyuan making machine and tapioca pearl making machine. 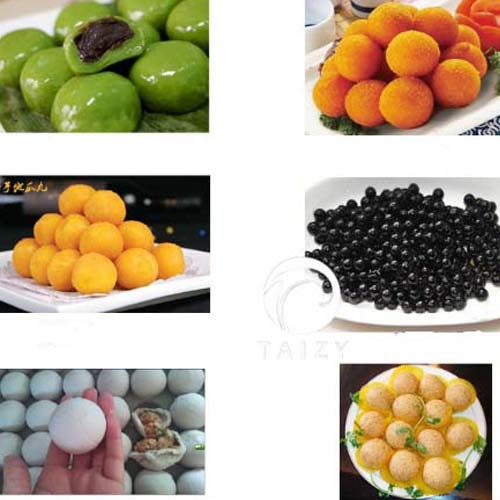 It can be used to make no-filled dumplings(tangyuan or to make tapioca pearl, sweet potato balls and so on. It is very suitable for people who want to start a business. The boba maker has the characteristics of a simple operation, low cost, fast revenue recovery, large sales market. 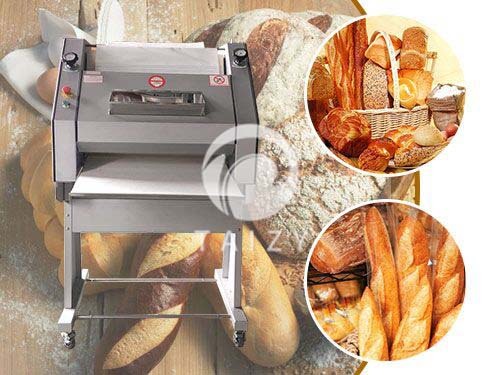 If your raw material is special, we can test the machine for your material. 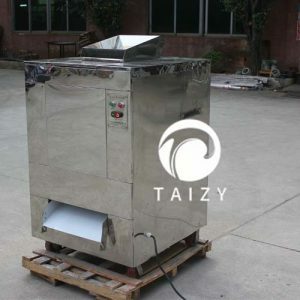 It is mainly composed of a feeding hopper, a dry powder box, a waste port, a discharge port, a universal wheel, and a blade. Boba maker: the raw material for making stuffed dumplings is glutinous rice flour. Put 10kg of glutinous rice flour and 4.5kg of boiling water, and mix them well in the dough mixer. Press the dough into a flat square with a thickness of 20-25mm and put it into the hopper for deep processing. You should press up the water pulverizing to dry. Take 2/3 rice flour to steam at 8-9 maturely, puts it into the mixer. Pour 1/3 or 2/3 wet rice flour and add 1/3 dry rice flour at the same time to stir evenly. Then press the rice flour until the surface becomes flat square(the thickness is 20-25mm). Finally, put them into the feeder hopper. After the formation, expose to the sun about 10-20 minutes, then pack. Attention: The boba maker feed hopper has three grids, which are divided into a front grid, middle grid, back grid. Put the dry powder in the front and back grid, and put the raw materials in the middle grid. The boba maker can customize according to different user’s requirements. 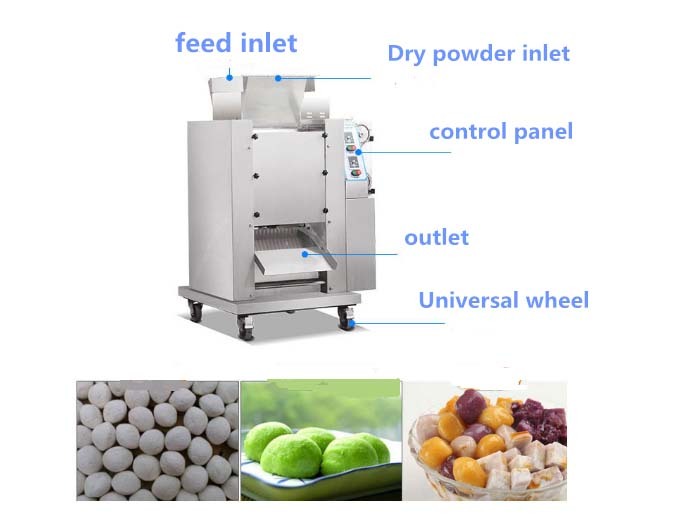 This machine can make no-filled dumplings(tangyuan, as well as pearls, greens balls, potato balls, boba, etc. 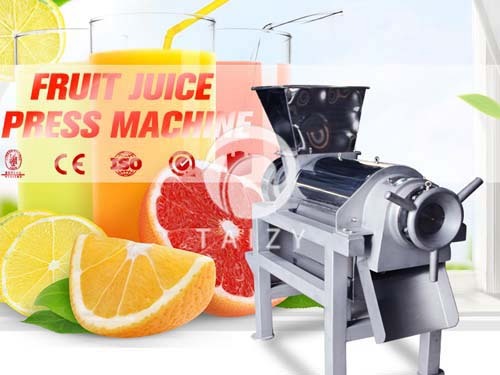 Boba maker is very popular in the beverage industry and food processing industry. There are two models of the boba maker. The main difference in the two models is the yield and the diameter of the boba. The voltage of the machine can be adjusted according to the country where the customer is located. Do not put the hands into the machine hopper while the machine is running. 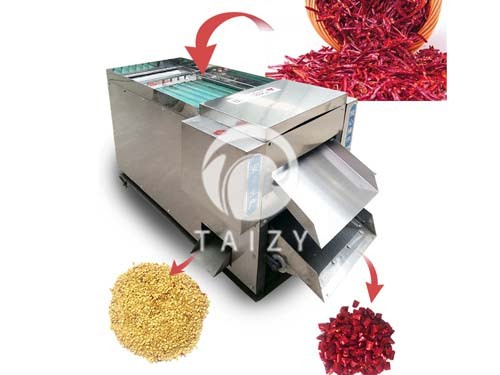 After using for a period of time, pay attention to machine cleaning and keep the hopper free of impurities. Some products are made.It needs to dry it for a while or freeze it. One of our Thai customers has a rice flour factory that he wants to produce some related products and increase income. Because the raw material of the boba machine can be rice flour. So he finds us. He wants to make tangyaun. We recommend a suitable model for him according to his need. Then we sent the feedback video of the old customer to him, and he immediately placed the order. Now he has received the goods and put it into use. He gives feedback to us that the machine is very easy to use and simple to operate. He sells the tangyuan to the retailer and gets more profits than rice flour. Many tourists are visiting Thailand so the sales market is very broad. 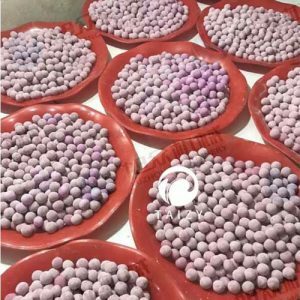 In addition to the tangyuan, the tapioca pearls can also be produced according to market demand.